Some times stopping the process of file from Task Manager gives the ability to delete files.But If using Task Manager was unsuccessful, you can get rid of these files or folder and delete them forcibly by either completing the process manually or by downloading free and easy applications. So as we already said that there are two way to delete these types of files permanently . 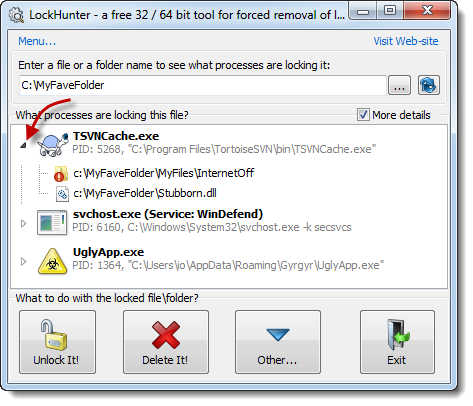 LockHunter is a free software to unlock and delete files.The Procedure is very simple. Step 1.Download the software and Install it in Pc/Lappy. Step 2.Go to the file and Right click on it through the mouse. 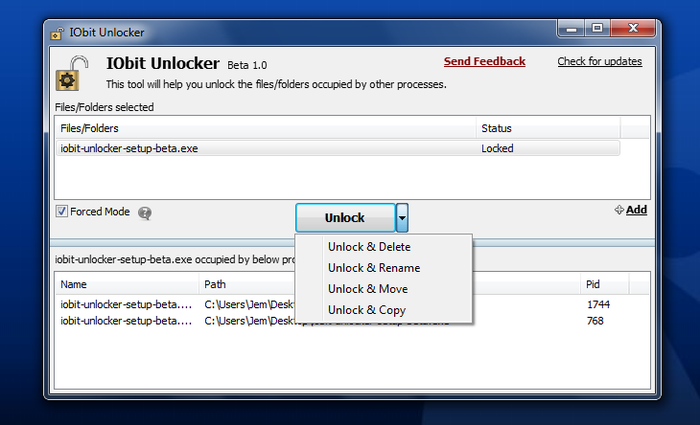 Step 3.From the New Opened menu click on What is locking this file? Step 4. Click on Delete it or Unlock it. So with above method you can delete Undeletable files and folder from your pc. Start FileASSASSIN and select a file by dragging it onto the text area or selecting it using the (…) button. Click Execute and the removal process will commence. IObit Unlocker is a light-weighted (only 2.34mb) yet powerful tool designed to fix the ‘Cannot Delete’ or ‘Access Denied’ problems. It can ‘Force’ terminate all related processes that prevent you from deleting or accessing files / folders that you need to. quotation marks into the search bar. Right-click on “Command Prompt.” This will prompt a drop down menu where you can select “Run as Administrator.You will need to have Admin Access in order to complete this method. Wait for a back window to appear. This is where you will input your command in order to delete a file. Enter your command. This command will look something like the following: .DEL /F /Q /A C:UsersYour usernameThe location of the fileName of the file you wish to delete. Press Enter. This will now permanently delete the file. 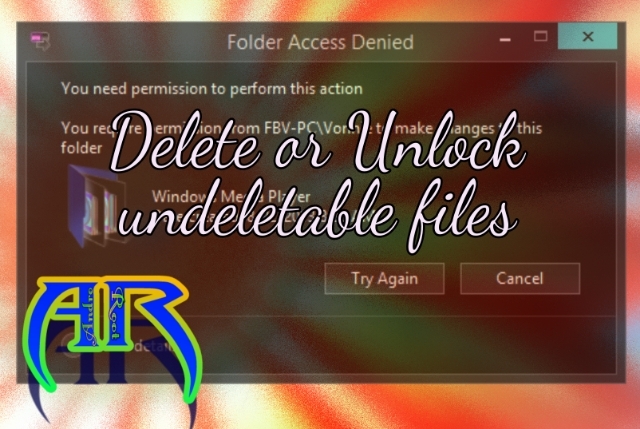 So I hope After Using Any Of the Above Methode You will definitly delete the File or Folder which is undeletable through Windows Explorer..And Whenever you face these Errors then use any of the Above Methodes. 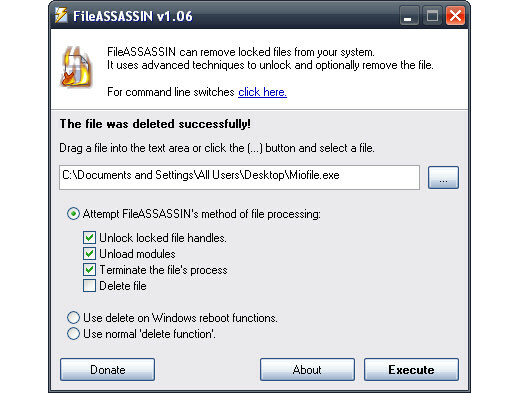 Warning: Please use caution with FileASSASSIN as deleting critical system files may cause system errors. Windows 10 Important features,tips and tricks.